I’ve been building models for as long as I can remember. I started with plastic kits when I was about 7 years old. The very first model I recall ever building was a US Navy A-7 Corsair II. I remember it clearly because it was loaded with bombs on wing pylons. Being only 7 years old when i built it, the model was also covered in gluey fingerprints. My dad bought me that kit, though I seem to recall my mother having reservations about him buying me models. But he clearly wanted to foster my desire to build, and as soon as I completed one, he got me another. Though I loved modern warships kits, I didn’t get into sailing ships until some time in my mid teen years. But, I remember a kid down the street showing me a plastic kit of the Cutty Sark he had and also the owner of the local hobby shop working on a plastic USS Constitution in the store. Myself, the first of these kinds of kits was a plastic model of a Spanish Galleon that I got when I was sick with the flu. It was, again, a gift from my Dad to relieve me of the boredom of staying at home. I really enjoyed building the model and found myself building the USS Constitution kit shortly after that. At the time, I didn’t build them all that well, I just wanted them built. Late high school and into college I didn’t do much building. But, once I was in the work place, I found some time and an itch to work on things. I dabbled with a couple science fiction projects and then somehow got interested in redoing that USS Constitution kit that I built years before. But this time, I thought I’d make a really well done, detailed model. I was talking with someone at work about it and one of them told me about a gentleman he met who built these beautiful wooden ship models. One day, he brought a catalog that was given to him and it was full of these wooden kits I’d never seen before. Soon, I discovered a local hobby shop that had a model displayed and I’d go over there on my lunch hour and gaze at it day after day. Finally, I broke down and bought the little solid hull kit of the pilot boat Phantom made by Model Shipways. As I started working on it, I fell in love with small woodwork and this little developing gem of a model. That big USS Constitution kit with all it’s bristling guns just sat up on the shelf, partially completed. I never touched it again. 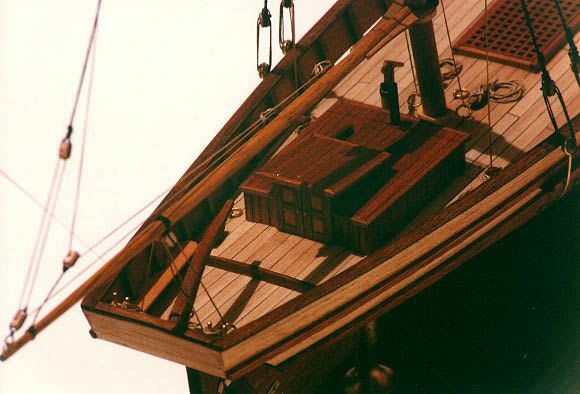 I was completely hooked on wooden ship modeling. That was around 1993, just over 20 years ago now, and there have been periods where I was building and not building. But, in the last few years it has taken on a new life and I’m modeling like crazy. I’ve been scratch building interesting subjects and began my first commissioned project in the Fall of 2012. At about the same time, I submitted my first ship modeling article to Seaways’ Ships in Scale magazine which appeared in 3 parts starting with the March/April ’13 issue. 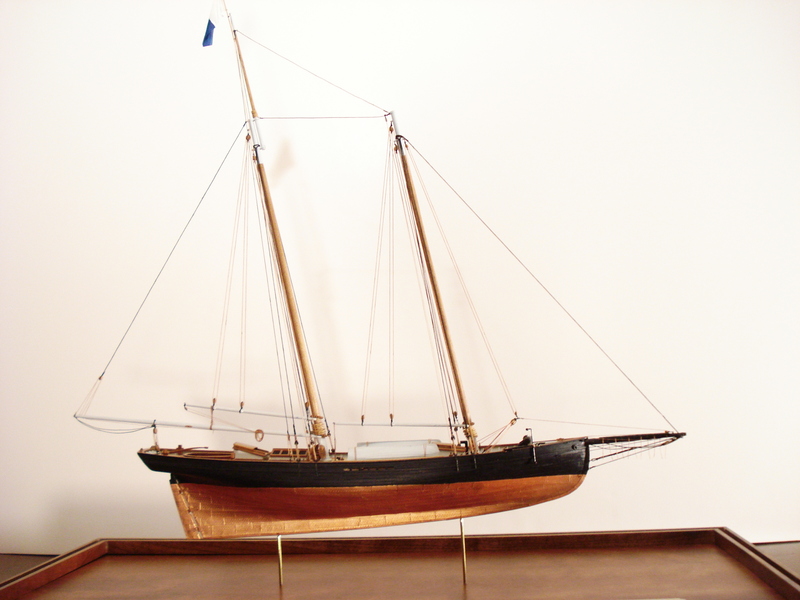 That article was about scratch building the pilot boat Mary Taylor. Since that time, I’ve written three kit reviews for Ships in Scale and proudly saw my first cover photo on the Nautical Research Journal with an accompanying photo spread on my model of the Japanese Higaki Kaisen coastal transport. I’m now working on an article covering the building of the Higaki Kaisen model. I’m hoping to finish that up and submitted to Ships in Scale magazine soon. 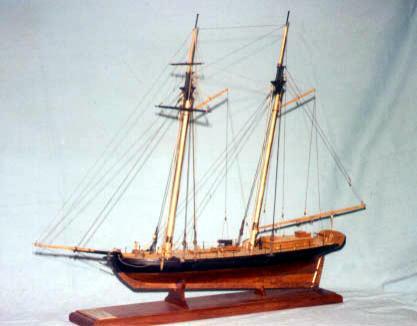 Member of the Nautical Research Guild, Hyde Street Pier Model Shipwrights (National Park Service Volunteers), the South Bay Model Shipwrights and the Ship Modeler’s Association. Past secretary, past president of the Ventura County Maritime Museum Model Guild. I’m not really big on the subject of awards. But it was nice for a couple of my models nice to be recognized in the Nautical Research Guild’s Photographic Ship Model Competition in 2015. That’s an out of production kit, so you’re probably not going to be able to get them from the manufacturer. That’s the big problem with second-hand kits, and there are so many of them. Not that your’s is necessarily second-hand. Just saying. Best bet is to find a ship model forum and find someone who built the kit and has plans available. OR, find another kit on Ebay or elsewhere that does have the plans. That said, the Dallas was my first plank-on-bulkhead model and I remember her fondly. Good luck with your build!